Managerial mastermind Jose Mourinho has backed England to come out on top against Belgium in their World Cup group battle in Russia – a shock selection in RT’s exclusive #MatchMourinho predictions playoff. 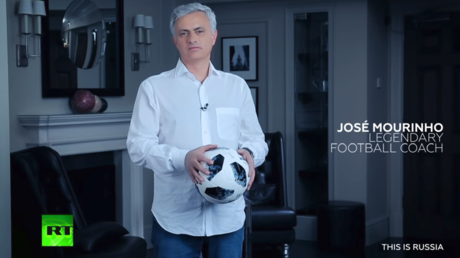 The top Portuguese coach will be appearing as a special RT guest host at the World Cup, and we are giving you the chance to pit your footballing wits against one of the shrewdest tacticians in the game as part of our #MatchMourinho predictor. 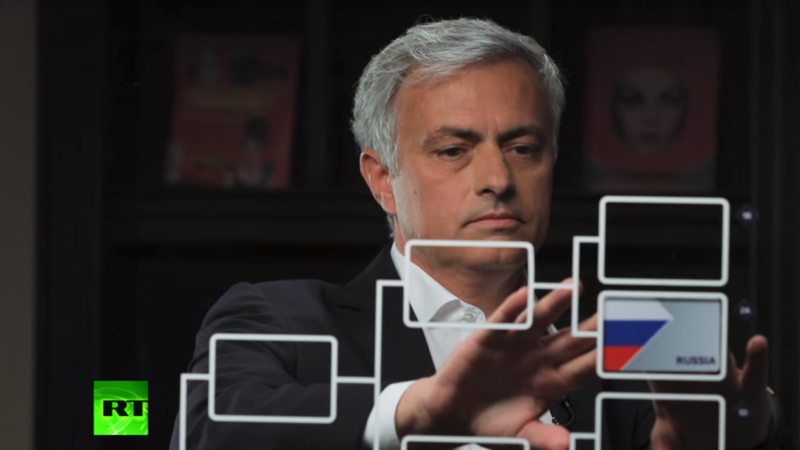 We can now exclusively reveal exactly who Mourinho is tipping for glory in Russia. One of his shock selections came in Group G, where the Manchester United manager cheered ‘Come on England,’ as he announced that he fancies the Three Lions to finish on top of the pile ahead of their Red Devil rivals from Belgium. The two teams meet in the final group game in Kaliningrad on June 25, and Mourinho is backing long-time underachievers England to edge out a much-fancied Belgian team, although he unsurprisingly believes both teams will progress as the top two at the expense of Panama and Tunisia. Many would have backed the Red Devils to come out on top against England, given that they are taking a talent-laden squad to Russia, which includes the likes of wing-wizard Eden Hazard, playmaker Kevin De Bruyne and prolific frontman Romelu Lukaku – but Mourinho thinks otherwise. Other World Cup selections saw double Champions League-winner Mourinho back hosts Russia over a Mohamed Salah-led Egypt to progress to the knockout stage from Group A, along with group favorites Uruguay. His next selection proved controversial, as he favored Spain to prevail over his native Portugal in the battle of the Iberian giants to finish top of the pile in Group B – although, predictably, he backed both to progress as the top two. Elsewhere, mystic Mourinho’s group stage calls included tipping Australia to make a shock progression from Group C alongside France – consigning Christian Eriksen’s Denmark to an early exit alongside Peru, a team heading to Russia as many people’s dark horses for a strong run. Group D also threw up a Mourinho curveball, as the Man Utd manager settled on Super Eagles Nigeria to soar into the knockout stages along with Lionel Messi’s Argentina. According to the Portuguese, that means Euro 2016 sensations Iceland will be heading home early, as well as a Croatia team boasting the midfield maestros Luka Modric and Ivan Rakitic. Groups E and F saw Mourinho back the big names, with his picks being Brazil, Switzerland, Germany and Mexico to advance respectively. However, his predictive prowess reverted to upsets for Group H, and the Portuguese manager backed Senegal to top the pile ahead of Poland – despite the Poles having the prolific forward Robert Lewandowski in the ranks. If you think Mourinho has hit the target with his group stage predictions or is well wide of the mark, let us know. You can post your own predictions and reactions on RT Sport’s Facebook page, and go head to head with the Special One himself. RT’s World Cup prediction party will continue as we reveal Jose’s knockout stage selections soon, with more surprises sure to be in store. You can also follow RT for all the latest news from this summer’s World Cup in Russia on our dedicated website.